Being unable to read Japanese as of yet sometimes leaves me with a problem: I would love to tell you guys about a certain game, but there's not enough English information for me to go off and the small amount of Japanese I do know probably isn't reliable enough to post about. 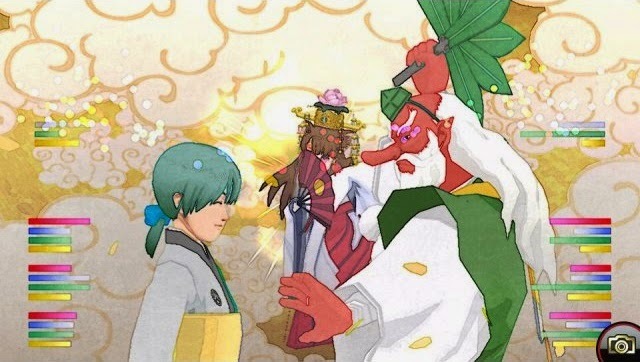 Instead of giving sub par information about Oreshika: Tainted Bloodlines (a recent PS Vita game released in Japan that will be released in the US eventually), I'd like to send you to read this great Kotaku article by Richard Eisenbeis. The article covers mainly the game's breeding mechanics and why it makes the gameplay expereince special and unique for each and every player of the game. After reading it, I really want to try it....Which kind worries me. I just bought Conception II. Is there such thing as too many 'in-game' children? Does your article deserve the attention of our readers? Email it to jrpgjungle@gmail.com for consideration as a Recommended Reading article!